Whilst sitting on a little boat in a harbour last week, I noticed a sign. My Italian is a little rusty, but it's one of those languages that, if you use your imagination, you always feel as though you can make sense of it. It was some kind of notice to passengers about what to do in the event of an emergency. Not panic and run around screaming, I think it said. Anyway, what really caught my eye was the use of the phrase "SOS". Save Our Souls, I thought as I idly completed the acronym in my head. Is that an entirely universal phrase, or have I just lazily slipped into the assumption that the English (or at least another English speaking nation) invented the phrase and that the rest of the world simply adopted it? Well, Britannia did rule the waves, after all. Perhaps SOS stands for something completely different in the Italian acronym? Curious, I looked it up when I next got the chance. "This distress signal was first adopted by the German government in radio regulations effective April 1, 1905, and became the worldwide standard under the second International Radiotelegraphic Convention, which was signed on November 3, 1906 and became effective on July 1, 1908...In popular usage, SOS became associated with such phrases as "save our ship", "save our souls" and "send out succour". These may be regarded as mnemonics, but SOS does not actually stand for anything and is not an abbreviation, acronym or initialism. In fact, SOS is only one of several ways that the combination could have been written; VTB, for example, would produce exactly the same sound, but SOS was chosen to describe this combination. 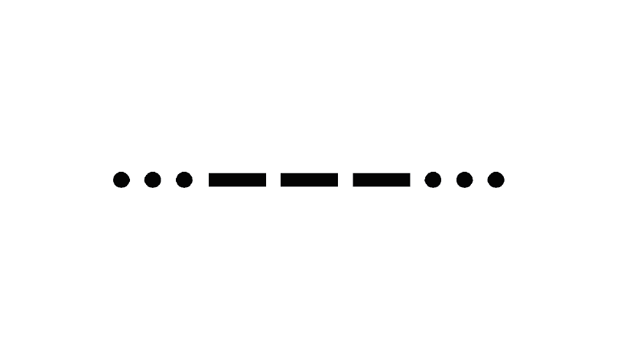 SOS is the only 9-element signal in Morse code, making it more easily recognizable, as no other symbol uses more than 8 elements". Interestingly (to me, anyway), the development of audio radio transmitters rather rendered morse code redundant, and in 1927, "Mayday" was adopted as the internationally accepted audio equivalent of SOS. So, there you go: my casually glib assumption corrected. Also on this holiday, I learned that my assumption about the origins of the phrase "Indian Summer" was also (most likely) completely wrong. Never let it be said that I can never admit to being wrong. Credit where credit is due: my wife had that one right. I actually confused an Indian colleague of mine by explaining to him what the phrase actually meant. He just couldn't get his head around the fact that the generally very mild English weather could in any way be compared to a summer in India, where the temperatures - he told me - are often in excess of 45 degrees!